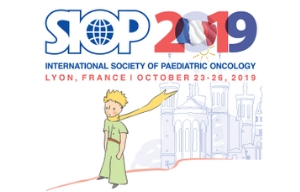 SIOP, the only global multidisciplinary society entirely devoted to paediatric and adolescent cancer, represented by Dr Eric Bouffet (SIOP President) at this high-level meeting provided its overwhelming support last Friday for the World Health Organization’s (WHO) announcement of its new global initiative to bridge gaps in care and cure, and advance outcomes for children with cancer from low-middle versus high-income countries. The announcement came at the United Nations (UN) General Assembly’s side-meeting on childhood cancer on September 28, 2018 which was organized by the Missions of the Republic of Uzbekistan, the Hashemite Kingdom of Jordan, El Salvador, the Republic of Moldova, the Kingdom of Morocco, the Republic of Philippines and the Russian Federation. 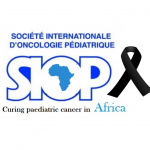 The WHO Global Initiative for Childhood Cancer partners with national and international stakeholders including SIOP and CCI (Childhood Cancer International) to provide leadership and technical assistance to support governments in building and sustaining high-quality childhood cancer programs. The target goal of the WHO Global Childhood Cancer Initiative is to achieve at least 60% survival for all children with cancer by 2030. This represents an approximate doubling of the current cure rate and will save an additional one million children’s lives over the next decade. 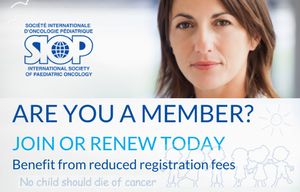 Prioritize cancer as a child health priority and increase available funding at the national and global levels. 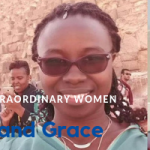 This initiative is founded on the World Health Assembly’s resolution Cancer Prevention and Control through an Integrated Approach (WHA70.12), which urges governments and WHO to accelerate action to achieve the targets specified in the Global Action Plan and 2030 UN Agenda for Sustainable Development to reduce premature mortality from cancer. Actions to increase childhood cancer survival today represent effective and tangible steps as part of the broader fight against non-communicable diseases – steps that will catalyze global efforts to transform childhood cancer outcomes worldwide and ultimately save many more lives of children, now and for years to come. Dr Eric Bouffet (SIOP President) speaking on behalf of the SIOP community at the United Nations (UN) General Assembly’s side-meeting on childhood cancer on September 28, 2018. Click on the image above or here to view the full session recording. Dr Bouffet’s speech starts at 1:10:42.